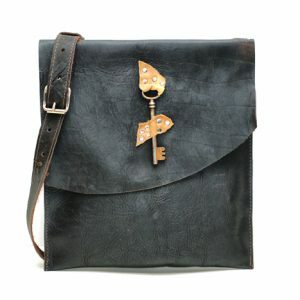 Choose an option… Adjustable All Leather - 46"-54"Adjustable Leather & Chandelier Chain - 46" - 54"Fixed All Leather - 48"Fixed Leather & Chandelier Chain - 48"
Divina Denuevo’s Urban Raw Edge Key Accent Messenger is the perfect every-day companion. 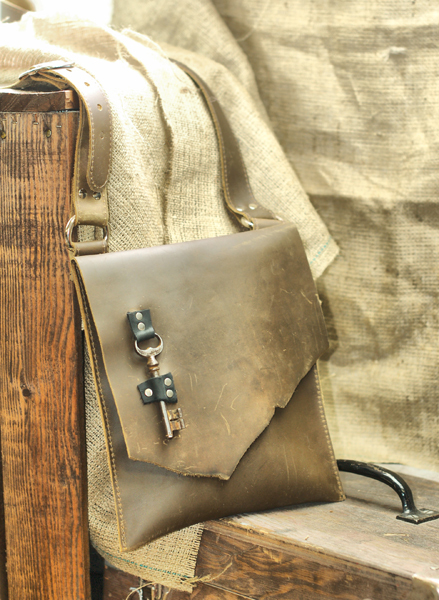 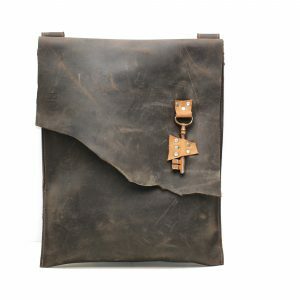 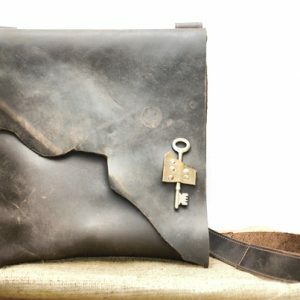 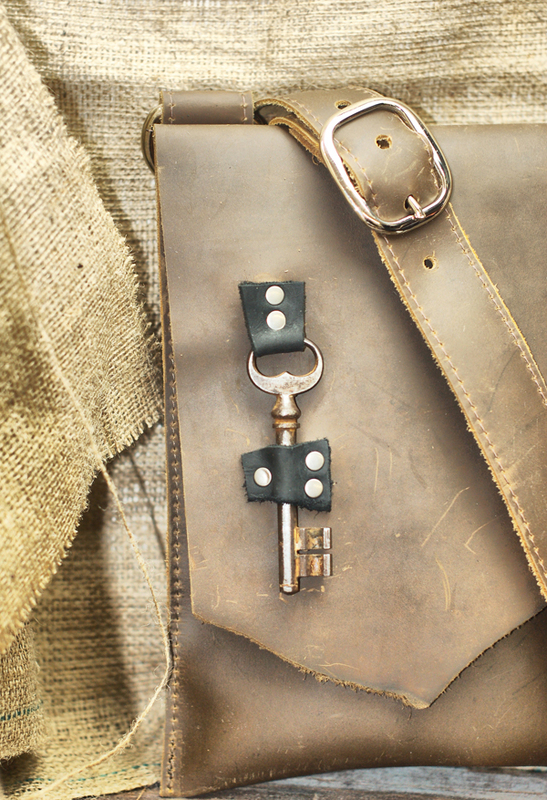 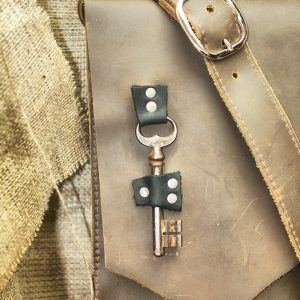 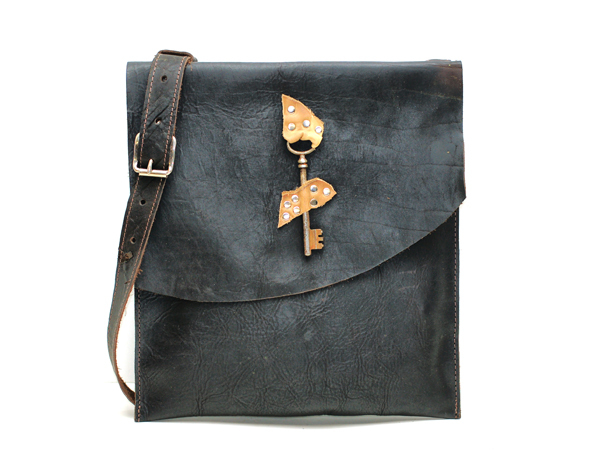 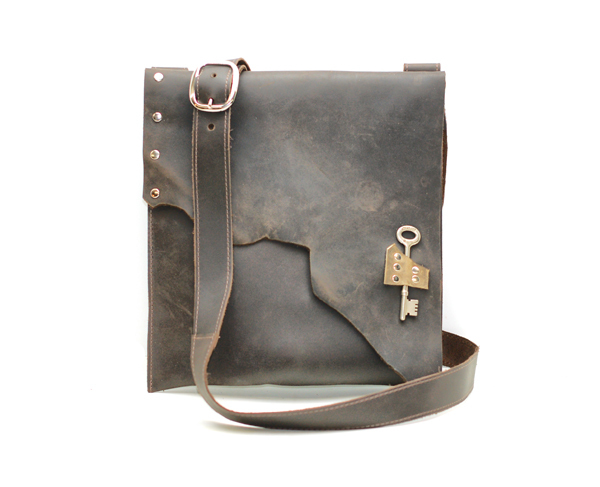 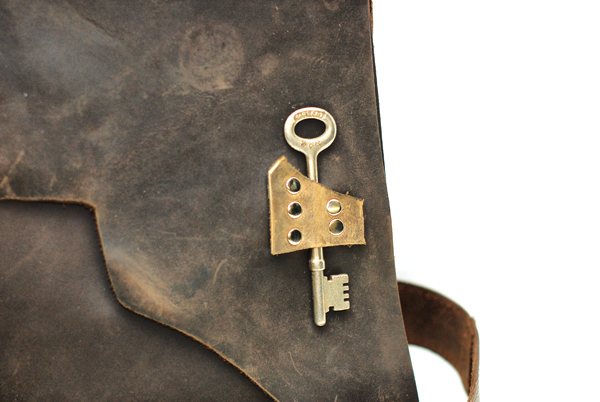 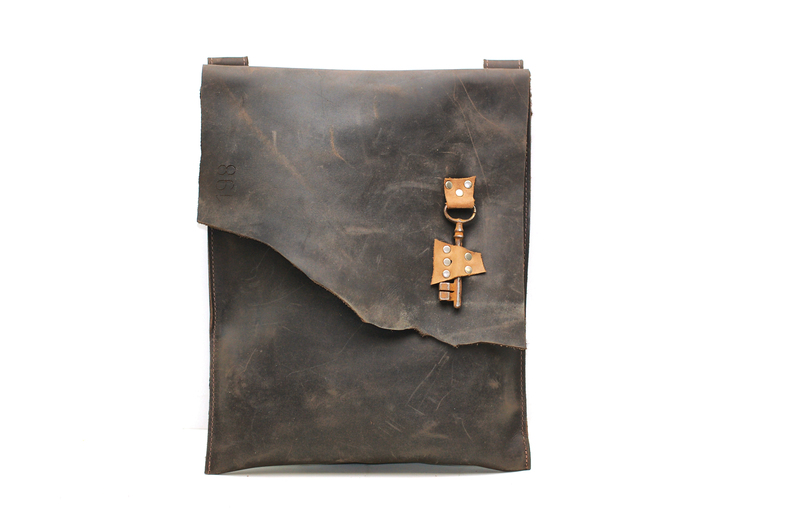 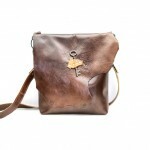 Made in supple leathers that develop rich patinas, this bag is accented with a unique skeleton key. 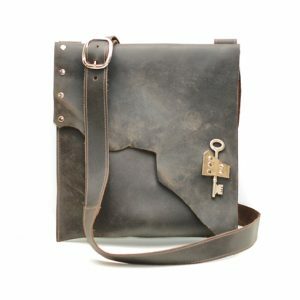 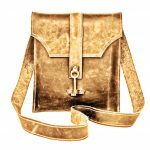 This bag is completely customized to you! 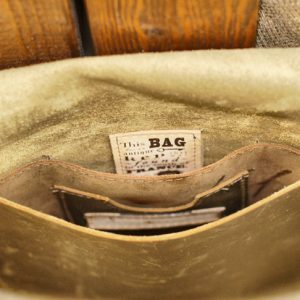 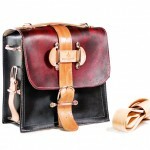 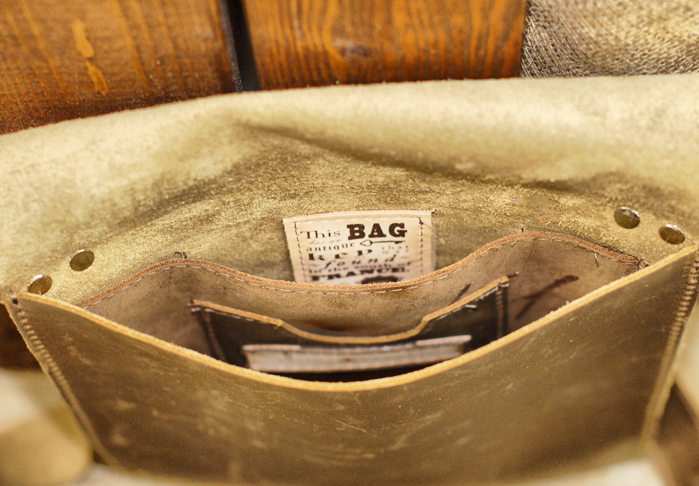 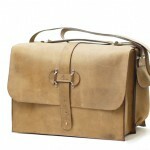 The bag is sewn using industrial strength leather-grade polyester thread, and uses matching antiqued silver hardware. 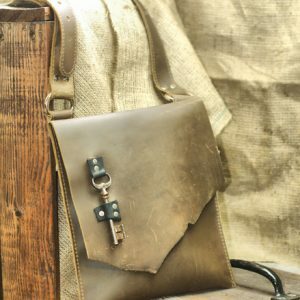 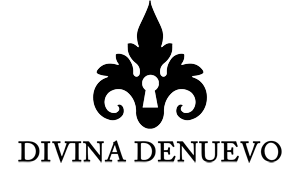 It features an authentic antique skeleton key and a unique raw edge flap. 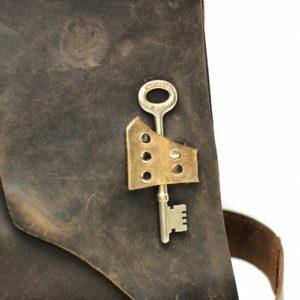 There is a tag sewn inside that tells you where the key on your bag was recovered from. 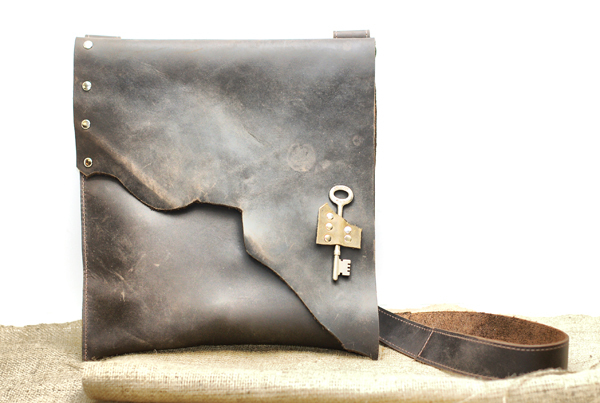 Choose to add an inside pocket (pictured), outside pocket, perfect for storing your phone or keys. 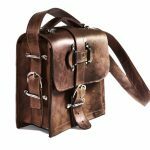 Adjustable All Leather – 46"-54", Adjustable Leather & Chandelier Chain – 46" – 54", Fixed All Leather – 48", Fixed Leather & Chandelier Chain – 48"